In the Lodz ghetto in Poland, home to as many as 204,000 Jews during World War II, there were 170 doctors, as well as a few nurses and midwives, according to diaries and memoirs. Like all the others, the Jewish healers lived with the daily terror of being shipped off to a death camp. Still, they tended to their fellow inmates. There was almost no food, no medication, and certainly no X-ray machines, laboratories, or any of the other accoutrements that we think of as essential to medicine today. And yet, when there was nothing to give the sick, the Lodz doctors did find something. “These doctors gave people hope,’’ said Dr. Harold Bursztajn, a Beth Israel Deaconess Medical Center psychiatrist whose parents lived in the ghetto and who spoke about the Lodz experience at a recent meeting for colleagues. Ghetto doctors armed with little more than kindness and hope twice saved the life of Bursztajn’s father, Abraham. The first time, said Bursztajn, was when his father fainted after being tortured. A ghetto doctor revived him. Thanks to that doctor, his father did maintain hope, Bursztajn said, and that hope fueled his courage to resist. One night, Abraham sneaked out of the ghetto to steal cement with which to build bunkers for hiding. The plan was to put the bunkers under the ghetto’s stinking septic system to throw off the bloodhounds the Germans used to hunt Jews. While sneaking back carrying a 100-pound bag of cement, he was shot in the leg by a German patrol. Leaving a bloody trail, he somehow got back. But his father knew the Nazis would see the blood and look for him if he failed to show up at the next morning’s roll call. Another ghetto doctor came to him. He had no instruments, but sterilized a coat hanger as best he could and dug out the bullet from Abraham’s leg. With his leg bandaged tightly to stop the bleeding, Bursztajn said, Abraham made it to roll call and helped build the bunker, which eventually hid - and saved - 15 Jews. 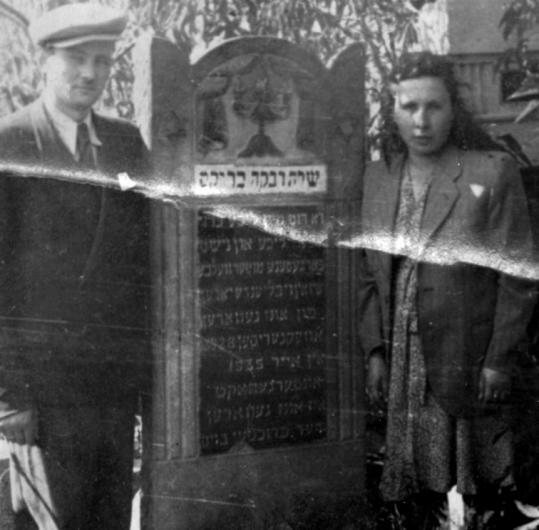 Dr. Salomea Kape, a retired anesthesiologist now living in Larchmont, N.Y., was a teenager in the Lodz ghetto. She remembers how her mother, Rachel Herschenberg, a midwife, also saved lives with little but her hands, her knowledge, and her presence. One night, recalled Kape, who attended the recent meeting, a desperate young man left his bunker and made his way to where Herschenberg lived, saying his wife was bleeding to death after childbirth. He had already asked a doctor to help, but the doctor refused, saying it was too dangerous to go out with Nazi guards all around. “I begged her not to go,’’ said Kape. But Rachel Herschenberg went. The baby had just been born. With no way to clean her hands, she simply reached inside the dying woman and removed the placenta, stopping the bleeding. She even went back the next night to check on her patient, who survived. “This dimension of medicine, which is to give to people from your heart and from your soul is, to my mind, what makes medicine a noble profession,’’ said Dr. Jerome Groopman, author of “The Anatomy of Hope,’’ and chief of experimental medicine at Beth Israel Deaconess. “A patient taught me something in an analogous situation,’’ Groopman continued. “It was a woman with very advanced breast cancer who was dying. I had given her all the therapy I knew, including experimental drugs. I said to her that I had nothing left to give her. Especially toward the end of life, said McCullough, author of “My Mother, Your Mother,’’ a book about caring for aging relatives, slow medicine - taking the time to pay attention to a person’s emotional and spiritual as well as medical needs - is essential. “You have to make a covenant with patients to, in all circumstances, be a part of their support, and not to abandon them,’’ he said. Sometimes, this kind of empathy all by itself can promote healing. In a study published in the July issue of Family Medicine, Dr. David Rakel, director of integrative medicine at the University of Wisconsin School of Medicine and Public Health, looked at 350 patients who were randomly assigned to one of three groups: no interaction with a doctor (the patients saw only study staff), a standard visit with a physician, and a visit in which the doctor asked more questions and tried to show more empathy. The patients then rated their doctors on empathy. It does, even for surgeons - often maligned for being less sensitive than their colleagues. Judy Foreman can be reached at judyforeman@myhealthsense.com.